Visit http://welcome.opendns.com and you will receive the "welcome" message. Congratulations! No worries! 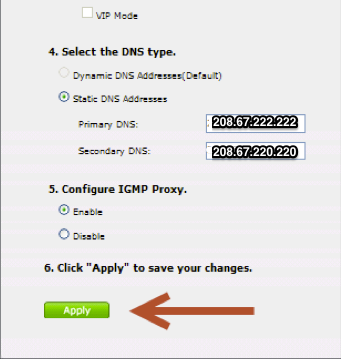 Please open a support ticket at http://support.opendns.com. Be sure to run our diagnostic tool and send us the results URL after the tool completes, so we can further look into your issue.